Proteins-Meats/Eggs/Whey/Plant Proteins: Proteins are considered the building blocks of the body. They contain amino acids which are catalysts for muscle growth, repair, and recovery. Proteins also help improve immune function, produce important enzymes, and optimize hormone levels. Choose the highest quality, most humanely treated, and USDA organic sources. 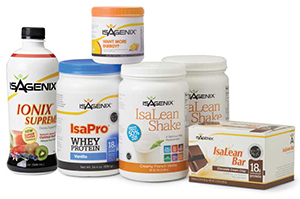 Examples include grass-fed beef or bison, pasture raised organic eggs, chicken, and turkey, undenatured grass-fed whey protein (why I choose Isagenix), wild fish, BPA-Free canned fish. Fruits and Vegetables: Fruits and vegetables carry a full spectrum of important nutrients and many times contain high fiber which promotes gut health, slows glycemic effect and assists in detoxification. Wash well, choose organic-especially when eating the skin of fruits and veggies, shop local as it will carry more nutrients, and avoid canned versions of fruits/veggies-low nutrients and added preservatives, eat a combination of fibrous veggies and leafy/cruciferous vegetables throughout the day. Some of my favorite fruit choices include: Organic berries-raspberries, blueberries, strawberries, blackberries, mulberries, organic apples, dark sweet organic cherries, dragon fruit, grapefruit, kiwi, organic apricots, organic plums, post workout-banana, pineapple, watermelon, peach, pear, dates, or mango. For leafy vegetables: all organic kale, bok choy spinach, romaine, arugula, mixed baby greens, butter lettuce. Fibrous/dense vegetables: All organic broccoli, cauliflower, cabbage, spaghetti squash, squash, Brussels sprouts, beets, artichoke, asparagus, green beans, snow peas, peas, carrots, zucchini, peppers, onions, mushrooms, eggplant, cucumber, and pumpkin. 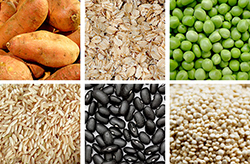 Complex Carbs: Carbohydrates can spare the use of protein as an energy source. They help promote healthy brain and nervous system function and break down into glucose. Glucose is used for energy or stored in the liver or muscles as glycogen or if those stores are full then can be stored as fat. Glycogen stores are essential for athletic performance as they serve as the energy reservoir when blood glucose levels are decreased due to high intensity exercise or inadequate carbohydrate intake. I do not believe carbs deserve the bad rap they’ve gotten, but do believe in carb cycling and choosing lower glycemic whole sources of carbs. I am not an advocate of wheat. Instead, I prefer choosing from sources such as quinoa, brown rice, yams, sweet potatoes, red potatoes, beans and lentils, and gluten-free oats. Healthy Fats: Healthy fats are extremely important for intestinal absorption of fat soluble vitamins, heart health, and energy production. When I carb cycle, some days I’m up to 50% fats from healthy fats so my body relies on fats rather than carbs as a fuel source on those days. Fats can help aid in satiety and promote healthy looking skin, hair, and nails. Optimization of hormones also happens when ingesting healthy fats. My favorite choices include: Organic coconut oil, chia seeds, raw nuts, seeds and nut butters, raw coconut, olive oil, avocado, whole eggs and salmon (protein source but also offers some fats that are good for the brain), macadamia, flax, fish and avocado oil. Supplementation: Our soil today does not provide the same nourishment as it did in the days of our ancestors therefore it is important for us to supplement our eating with proper enzymes, vitamins, minerals, and pro/prebiotics. In order to maintain a healthy weight and optimal body composition we must take in an appropriate caloric balance as well so to avoid overeating just to satisfy nutrient requirements, supplementation is essential. 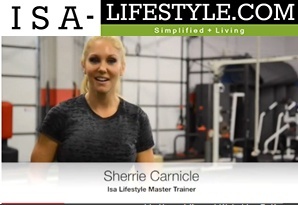 Please visit my Isagenix Page under the Products Section to learn how to supplement your nutrition and optimize your health with superfoods!